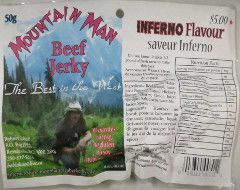 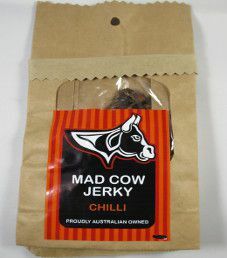 The next review on a Mountain Man will focus on at 1.8 ounce/50 gram bag of their inferno flavour beef jerky. 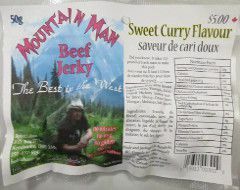 This jerky was graciously submitted for review by Robert Lahue, the owner of Mountain Man beef jerky. 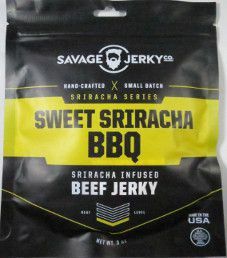 The next review on Savage Jerky Co. will focus on a 3 ounce/85 gram bag of their Sweet Sriracha BBQ flavored beef jerky. 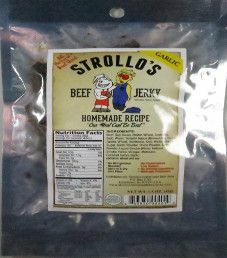 This bag was graciously submitted for review by the Savage Jerky Co. team.